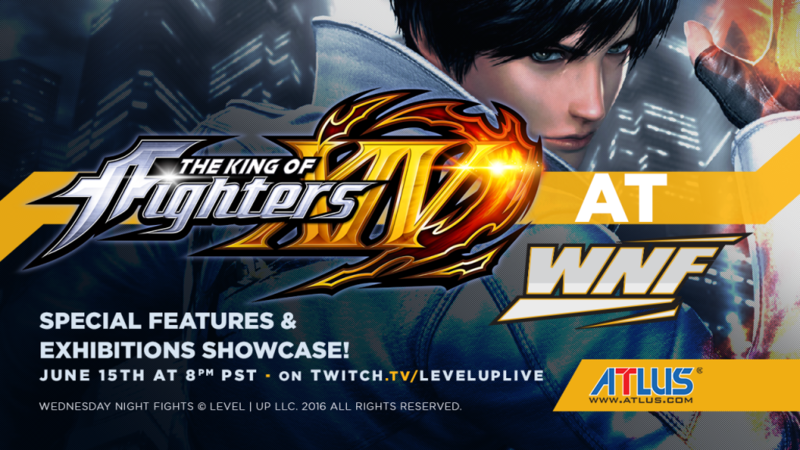 Our friends at Atlus are bringing the hype with The King of Fighter XIV for a special features and exhibition showcase this June 15th at Weds Night Fights! Watch Pro players AS Reynald and Romance teach you how to play KOF and rush players down in various exhibition matches. The Answer and Tasty Steve will cast all the action including a special Boss Battle with KOFXIV director Yasuyuki Oda! SoCal will also have an opportunity to play the 36 character demo build at Weds Night Fights! Catch the stream at 8PM PST only on our http://twitch.tv/leveluplive Twitch channel.